Dr. Bill BeyersChiropractor | M.S. 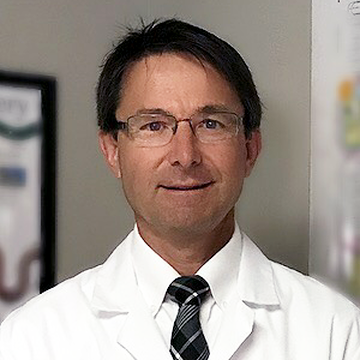 Dr. Beyers did his pre-chiropractic education at the University of Illinois and Eastern Illinois University where he studied chemistry, biology, organic chemistry, along with physiology and anatomy courses among others. After completing his pre-chiropractic studies he was accepted to Logan College of Chiropractic in Chesterfield, MO. During his ten trimesters at Logan, courses included biochemistry, a major emphasis on anatomy and human physiology, x-ray, diagnosis, chiropractic adjusting techniques and patient care in the out patient clinics. After his 4th trimester Dr. Beyers had completed the required courses to receive his Bachelor of Science Degree in Human Biology. Upon completing his 10th trimester and graduating in August 1985, Dr. Beyers returned to his hometown to open his practice in December 1985. Dr. Beyers is married to Kathy a court reporter for the state and they have two children , Wil who is a Marketing Director at a consulting company in Chicagoland and Seth, who is a Veterinarian at the Joliet VCA. Thank you for visiting our site. I hope it can be a source of health information and guidance in your journey to good health. If you have any questions please call the office or send us an email. If you’ve been to a chiropractor before and prefer to be adjusted in a particular way, let Dr. Bill Beyers know. We want you to relax, enjoy and fully benefit from your chiropractic care.